I am so happy to bring you the latest sketch from Freshly Made Sketches. I am the sketch hostess this week and I hope you enjoy playing with us this week. I actually used my sketch a couple of weeks ago to create swap cards for the Control Freaks swap. When I got my new Holiday Catalog, one of the first sets that drew my eye was Merry Little Christmas. I just love the variation of fonts! 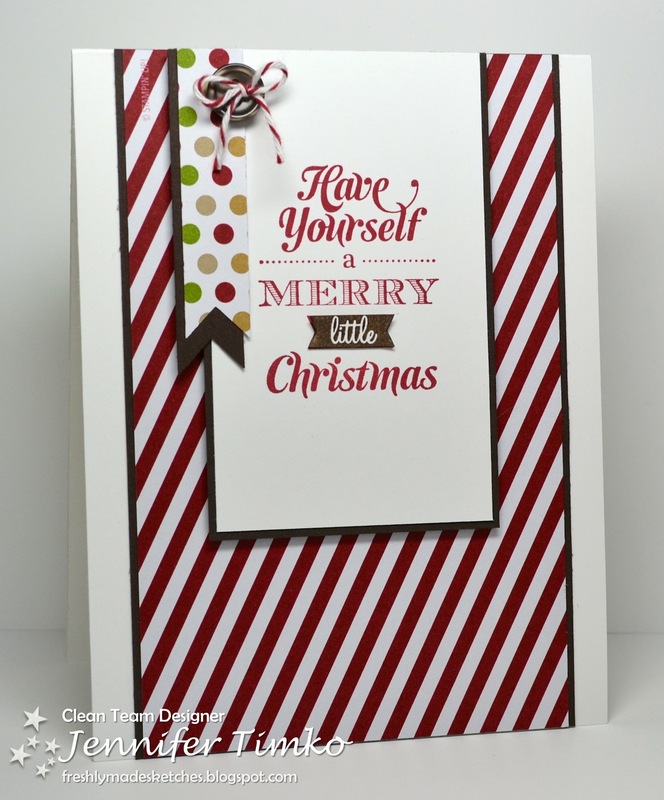 It is designed to go with the Merry Little Christmas Simply Created Card Kit but I wanted to show that it can be used on its own too. I paired it with another favorite, Season of Style Designer Series Paper Pack. The best part about these packs?? They come with 24 double sided sheets of each design. That means you can really use a good sized piece of DSP on a bunch of cards. Love that! 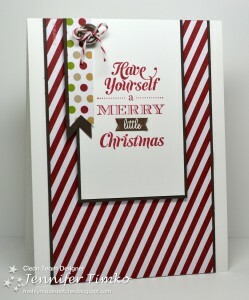 I chose the candy striped piece and then used the polka dot scraps (back side of stripes) to create the little banner. Quite an efficient use of the paper, if I do say so myself! *smile* I stamped the words in Cherry Cobbler ink. Then I stamped again in Early Espresso, inking up only the “little” banner with a marker. I cut them out and put them up on a Glue Dot. An Early Espresso button tied with Cherry Cobbler Baker’s Twine finish it off. I LOVE how the stripes of the twine go with the DSP!! The design team has come up with an amazing variety of takes on the sketch. I know you will love them all! 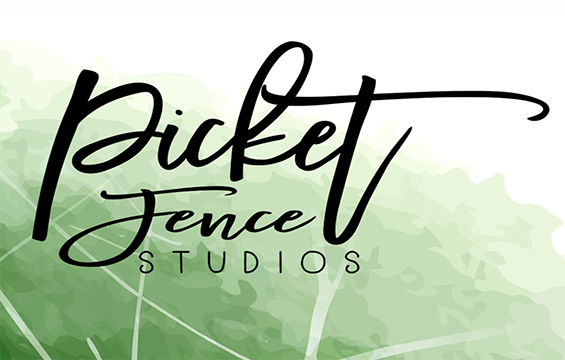 Make sure you stop over to see their fantastic work! Tomorrow starts the Artisan Design Team 2013’s blog hop! For 10 days, we will be showing you the projects we all submitted for the Artisan Award contest. I am really looking forward to this. We will all be sharing close-up pictures the details on our work. I hope you will join us! Thanks for stopping in today! See you tomorrow! I hope you enjoyed seeing all the pictures of the boards of Convention that I shared last week. I am always so impressed with the amazing amount of talent on display!! Speaking of talent…I was lucky enough to be in a swap with the extraordinary Control Freaks! Wow, what a stunning variety of cards I received! 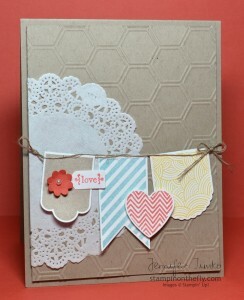 For my card, I wanted to show off the new Hexagon Punch and the Epic Day DSP. I am so in love with both of these products! I started with a Crumb Cake layer and used the splatter stamp from the introductory My Paper Pumpkin kit (Gorgeous Grunge would work beautifully here too). Then I sponged the layer. I added a little Crumb Cake ink to the doily and then added a banner layer out of this cool speckled print. A quick punch of three patterns with the Hexagaon and you have a super focal element. They are just popped up on Dimensionals. I stamped the sentiment from Six-Sided Sampler (the coordinating set with the punch) onto another of the prints from the DSP and slid the banner under a Vintage Faceted Button tied with Linen Thread. If you want to see more of the swap cards from the Control Freaks, many of them are on display on this Pinterest board. Now I have some awesome news for you!! On Thursday, the Artisan Design Team 2013 will begin its blog hop of the winning projects. Plan to sit back and be amazed for 10 days!! I’ll be back tomorrow with another of my Control Freaks swaps which is also the Freshly Made Sketches card of the week. I’m the sketch hostess and I can’t wait to show you. Thanks for stopping by today. I look forward to seeing you tomorrow and then for the following 10 days! Have a great day! …of our favorite new things!! Spring Catalog things, that is!! At SUO Challenges this week, our theme is “New Toys”! Perfect for the new year, don’t you think? Now we know that all of you don’t have your new products from the Spring Catalog yet, so if it is new to you, we’d love to see it! I am so excited to finally get to share this card with you. Finally?? Well, I actually made this back in December for a Control Freaks Spring Catalog swap and have been looking forward to posting it! My very first, “had to have it” product from this new catalog was the Hearts a Flutter Bundle…yep, the stamp set and the coordinating framelits. They are so much fun!! All I did was stamp the images in a little row, line up the framelits (use a small piece of a post-it note to hold them in place), and run them through the Big Shot. 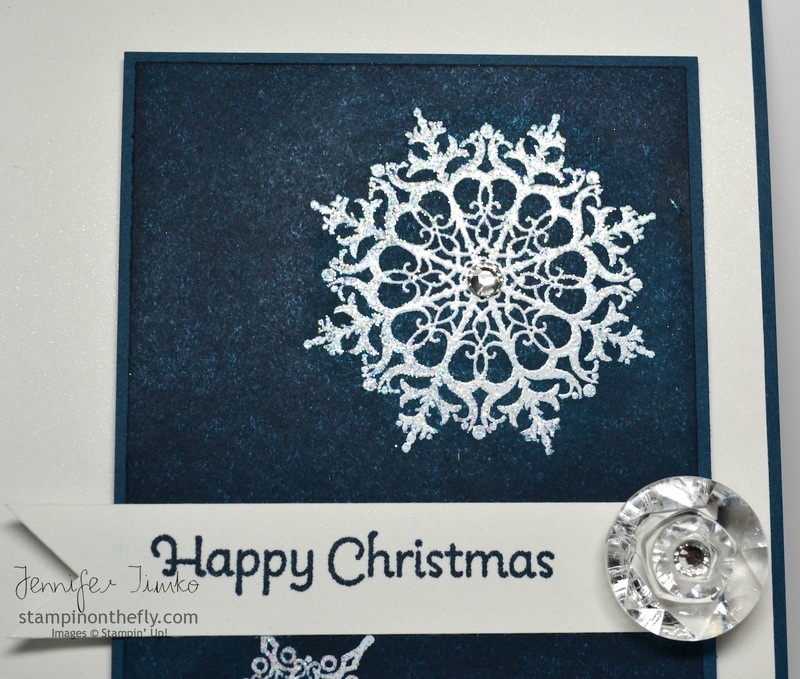 I added in this fun little doily and put some texture on the background with the Honeycomb Embossing Folder. I thought Linen Thread was the perfect banner holder. I tied a little loop in one end and put a separately tied bow on the other. 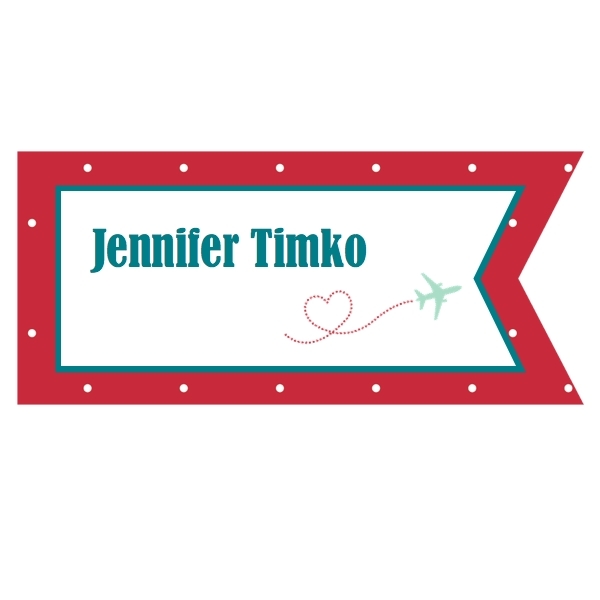 A little sentiment from Tiny Tags and it is a fun little Valentine. I loved that it uses non-traditional colors! I can’t wait to hear what you think about this. I really can’t wait to see what you create for our challenge this week! I know you’ll love what the rest of the team has created so head right over there to get inspired. If you didn’t see the fun announcements from yesterday’s post, make sure you roll down to take a look. I’ll be back tomorrow with the latest from Freshly Made Sketches. Until then, I’m so glad you stopped in. See you soon! I told you a little about this card last week and I am so excited to share it with you!! I made it in August for a Control Freaks Holiday Catalog Swap and have held it this whole time. Why? 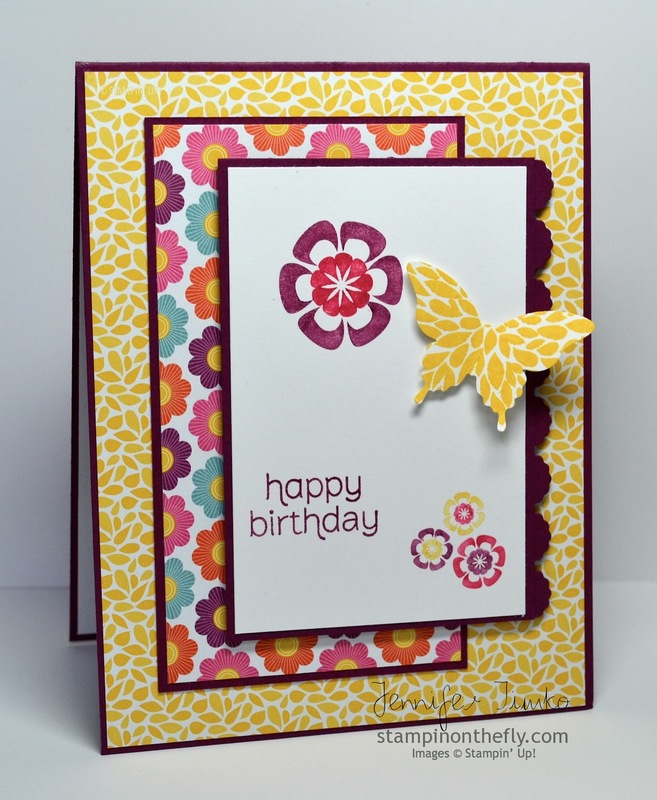 Well, I also entered into the “Demo It” category for the Stampin’ Success monthly contest for November. 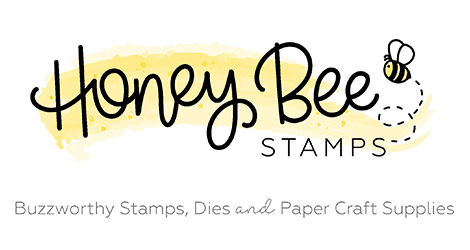 For those of you who are not demonstrators, Stampin’ Success is a magazine that we get from Stampin’ Up that helps provide inspiration and loads of information. Well, imagine my joy when I was notified that this card was chosen as an Honorable Mention for the category!! I even won a free stamp set!! This is a screen shot taken directly from the magazine. Cool, huh?? Of course I took some of my own before sending it in so I want to share that too. The hardest thing to capture in the photo is the shimmer. My picture shows it a bit more. 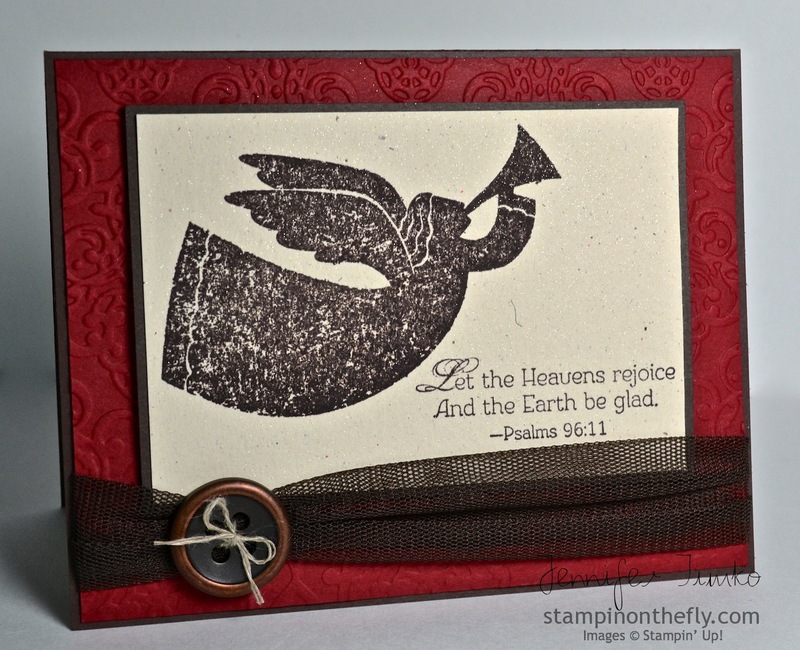 After stamping the angel from Rejoicing with You and the beautiful sentiment from the same set, I sprayed the stamped panel with shimmer mist made with Champagne Mist Shimmer Paint and rubbing alcohol. I simply mix up about 1 ounce of regular rubbing alcohol (drug store variety) and about 15 drops of the Shimmer Paint. Add more or less to your desired shimmer. Then just spray it on!! Lots of sparkle without the mess of glitter. The Lacy Brocade Embossing Folder was used in the background and I added the new Tulle Ribbons tied with Linen Thread and a Bronze Button. 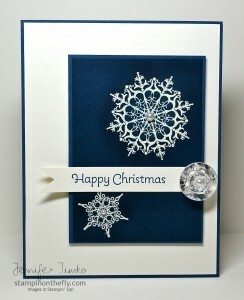 This is a great card to make in bulk (I know because I made 30 for the swap) and it still has a wow factor! How exciting that Stampin’ Up thought so too! I’ll be back Wednesday with a new layout from Freshly Made Sketches. 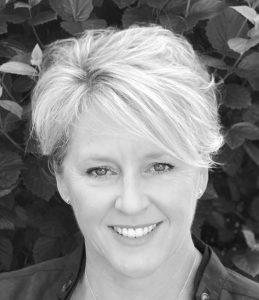 This week our guest Narelle Farrugia will be hosting the sketch! Hope you have a great week. Thanks for stopping in!! I know that I owe you another post about the blog hop projects from last week but I wanted to share a card that I made using the Control Freaks Sketch Challenge for this month. This is just an internal challenge for the group but you know that I can’t resist a sketch!! I have enjoyed my week with the boys so I thank you all for understanding the lack of posts. We went to the apple orchard on Thursday and got 30, yes 30, pounds of apples! YUM! Made homemade applesauce that night and I think an apple crisp is on the menu tonight (recipe care of my lovely friend Rita Wright). The boys met their teachers yesterday and school starts on Monday. Always a bittersweet thing! The good news is that I will have some more time for stamping (but I will miss the craziness around the house I’m sure). Thanks for dropping in today. See you soon with the paint can and tag details from the hop! 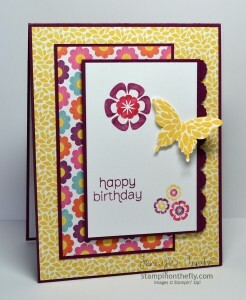 Here today to give you the details on the card I made for the Stampin’ Addicts Blog Hop. And I actually have two cards to show you. The first is from the hop and the second is a more subdued version that I made for the Control Freaks Convention Swap. This is a different view than the one I showed for the hop. I tried to capture the sparkle in about a billion pictures and finally accepted that it just wouldn’t be as pretty as it is in person! 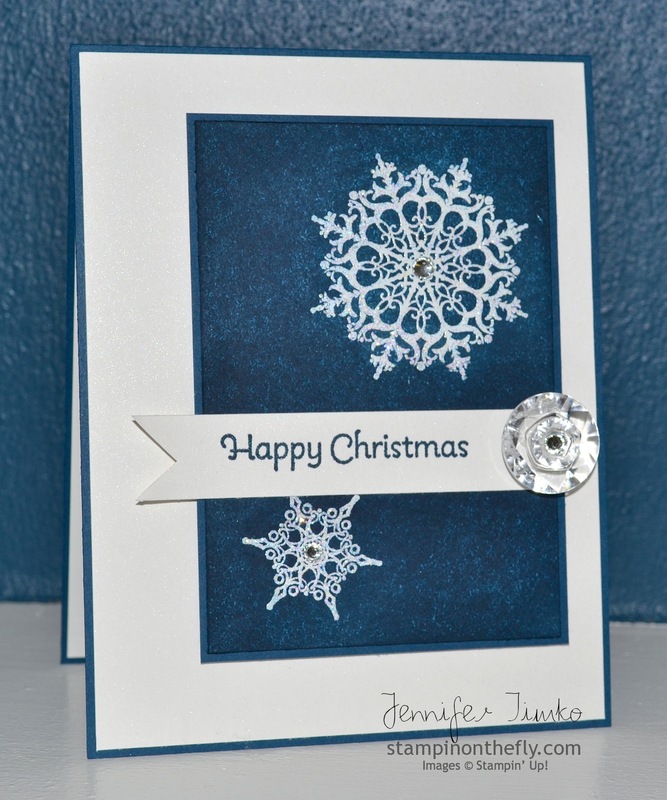 I started by stamping the snowflakes in Versamark ink and then embossing them with Iridescent Ice Embossing Powder. Then using my brayer, I added Midnight Muse ink until I was happy with the coverage. You can go lighter or almost match the card stock like I did here. Just wipe the excess ink from the embossed images and you are done. I hand cut the banner out of Shimmery White Paper and used that as the background as well. Finally I topped off the banner with doubled up Vintage Faceted Buttons. The smallest one fits into the largest one!!! So cool!! Basic Rhinestones just begged to be added and you should see how pretty it is in the center of the button! Just a little close-up to show you the embossing (after all, I did take all those pictures). Now for the second card, I know it looks a lot the same in the picture but in person has a very different feel. This one was made using Very Vanilla and Pearls. The embossing was done with Clear Embossing Powder. 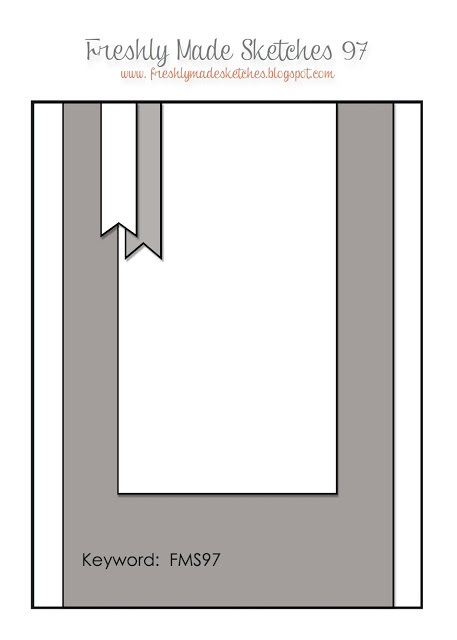 You can see from the two cards that the depth of brayering was a little different. It is something fun to play with! Lessons learned…make sure if you are using the new ink pads that you have reinker on hand (at least if you plan to make more than about 10 of these). The new pads work beautifully with the brayer but they hold ink differently and you have to re-ink more often and with not as much ink. Well, I hope you have enjoyed these! As you can see, it is a SUO Challenges Tuesday and I am not in this week. With it being the last week of summer break for my boys, I have taken the week off from the design teams. That, and I’m singing the summer theme song “On the Road Again”. *smile* I hope you are having a great week. Thanks so much for stopping by! See you again in the next couple of days with details on the mini paint can and the tags from the hop.